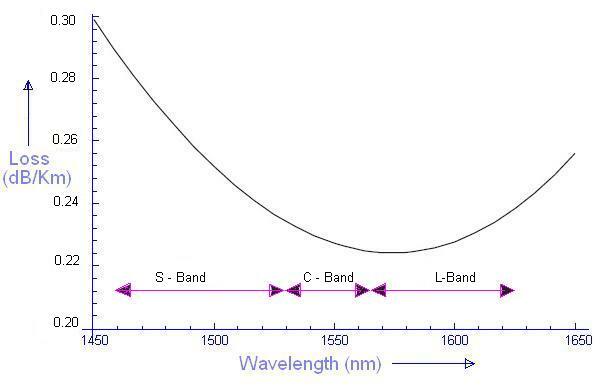 Following wavelength bands are used in fibre optical communication. This bands are used by optical engineers so often.The values in the table are approximate. They have not been finalized as standard values. Power loss per km for various optical fibre cables based on wavelength bands viz.S band, C band and L band is mentioned below.